Mobile network EE has provoked anger by introducing a priority customer service line that allows users customers to jump to the front of the queue for a flat rate of 50 pence. When calling through to EE's customer service line, an automated message now entices callers to move straight through to a representative, rather than wait in line. In June this year Ofcom named and shamed EE as the UK's most-complained mobile network, with 0.12 calls per 1,000 customers. Now the firm is asking users whether they want to pay for the privilege. 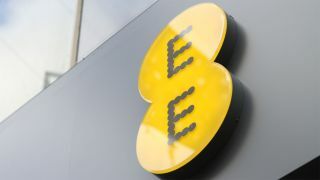 The Priority Answer initiative, which is available to EE's pay monthly users, has angered long-time customers who believe all calls should be treated equally. @PhilUK53 tweeted: "Thought it was a joke that @EE were allowing customers to jump queue for 50p. Do they not think great customer service should be a given?" @Gadget_Ry wrote: "EE is just the RyanAir of mobile networks. They've introduced a 50p "queue jump" charge for their customer service calls." The network defended the move claiming it had made a heavy investment in customer service, which included bringing call centre jobs back to the UK. "We've already committed to returning over 1,000 roles to the UK from overseas call centres, and have already opened two new UK centres. To contribute to this and other investments in service we have introduced some small charges for certain customer services," a spokesperson said. Would you pay for the very un-British privilege of jumping to the front of the line? Share your thoughts below.